Minimalism is the style of the 21st century – stylish, laconic, functional and clean. Designing a kitchen in this style is a great idea because you will get a super functional and elegant space with nothing unnecessary in decor. Black and white colors are a timeless combo, and if you are tight on space, choose only white. 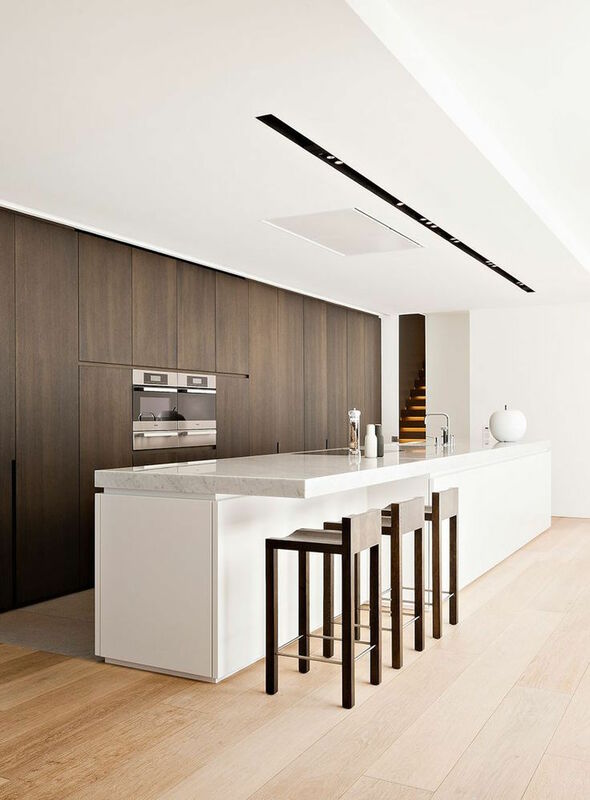 Stone and concrete are perfect materials for a kitchen as they are very durable, and if you want to add some luxury and warmth, go for natural wood. Maximize the light to see every inch and every corner and voila – a perfect minimal kitchen is ready! Look at the stylish examples below and get inspired!